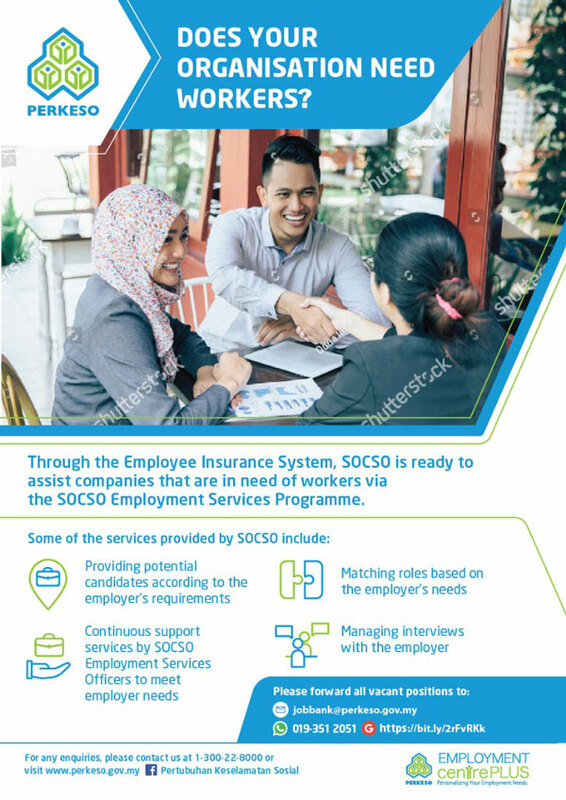 Please be informed that Pertubuhan Keselamatan Sosial (PERKESO) would like to invite you to participate in the “SOCSO's Employment Services Briefing Session” on 14th August, 2018. Looking for staff and workers? Join the SOCSO's Employment Services briefing session. Maximum of 2 pax per company that sign up based on 1st come 1st served basis.